Exotic Ocean Getaway, Stingray City, Cayman Islands. Friendly destination in the Caribbean for family summer vacation fun. Let the stingrays of the Caymans enchant and surprise you! Come feel the summer trade wind breezes on your skin. Bask in the hot Cayman sun, and bring your family for the excursion of a lifetime---an exhilarating swim with the gentle Stingrays of Stingray City. They say if you kiss a Stingray you get seven years of good luck and students will have serious bragging rights about swimming with these wild ocean giants when school starts up again. Be sure to get some family photos by our excursion photographer for your family album. Summer in the Cayman Islands is brilliant! Many of our guests come to the Caymans to escape cold, snowy winters at home. But the best kept holiday secret is Stingray City in July and August. It’s hot, it’s quiet, it’s less expensive and it’s serious fun during your summer holidays. No crowds, no line ups, and off season rates on cars, condos and restaurants. It’s time! Book your flights and start packing. A Cayman Islands summer day is 13 hours of radiant sunlight. You can fill up those sunny hours with our stingray swim, scuba diving, deep sea fishing and turtle farm excursions. 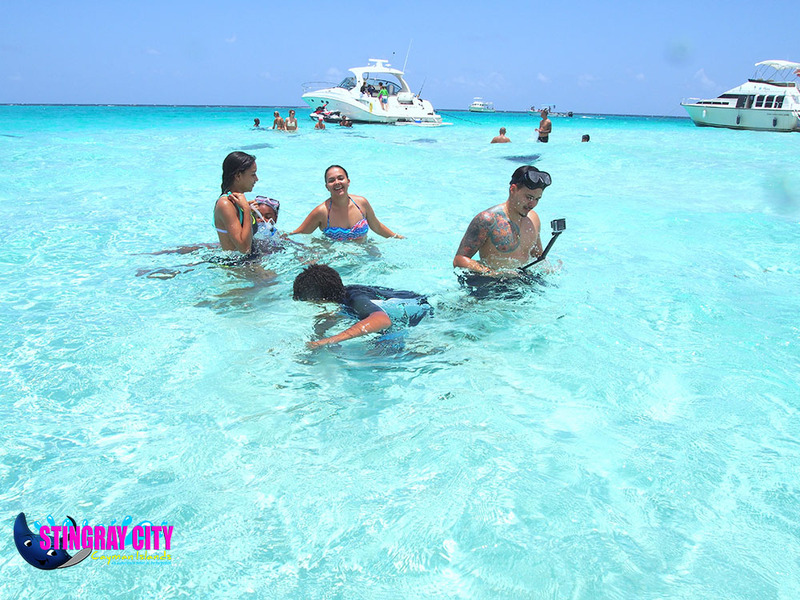 We know how to keep you busy and happy at Stingray City. We can offer you a new adventure every day, that’s why we hear giggling, splashing and laughter on every Stingray Excursion. Our professionally trained staff will teach you how to swim with the stingrays before you enter the water. Stingrays average 150 pounds and have a very long sweeping tail. We have pails of fish and squid on board so you can feed your stingray friends. They are very glad to see you holding these fishy treats and will gently approach you for a visit and a snack. Our staff will show you how to move slowly and quietly among the stingrays, how to feed them and how to give them a big wet kiss. Southern stingrays are quite docile and they are accustomed to a large number of visitors every day. Occasionally a guest will say they feel a bit funny getting into the water with the stingrays. Ocean waters here are crystal clear so you can see the rays moving around you in the shallow water. This is such a unique experience some people need time to prepare themselves for the swim. If you are not sure, you are welcome to watch from the vessel, or watch others first, before giving it a try yourself. Many hesitant guests say they are glad they tried it after taking a moment to watch others. Wildlife encounters do require care, and our trained staff will be right there with you. But please don’t miss out on this special ocean adventure. We are here to help and guide you, making it a truly safe and memorable excursion for everyone. During Cayman summers gentle trade winds also bring calm seas. Ocean water temperatures are 84F/29C in summer. That’s what we call a warm ocean bath. Daytime temperatures hover around 88F/32C. Evenings cool down to a comfortable low of 77F/25C. Now and then you’ll enjoy a brief afternoon shower that cools it down, bringing flowers and greenery to even greater depth of color and fragrance. It’s paradise here, rain or shine. Our guests and our excursion staff practically live in bathing suits, so a little rain doesn’t get much attention around here. Cayman Islands is actually three friendly islands called Grand Cayman, Cayman Brac and Little Cayman. This ocean paradise has been named the ‘Culinary Capital of the Caribbean’. We encourage all our guests to try the great cuisine and the great variety. You could plan a fish fry when you get back from Stingray City. You could cruise the streets for a jerk chicken stand, or find your favorite romantic spot among over 200 restaurants on the islands. We know the kids will be happy about the stingrays, but what about Mom, Dad, grandparents and friends? Are you looking for some quiet adult style relaxation? You could try an island helicopter ride that takes you up and over the islands, giving you a whole new perspective on our island home. You might want to check in for a rejuvenating spa treatment, go to the gym to keep up with your fitness regime, or sign up for beachside yoga classes. Maybe your family would enjoy a trip to the observation tower which gives you a 360 degree vista of the island. During our Turtle Farm excursion you can walk the nature trail, see unusual birds at the lagoon and visit the aviary for your up close bird encounter. Don’t forget the camera. The Queen Elizabeth ll Botanic Park is a must see for gardeners and botanists. Sailing or hiking can be arranged to fit your busy holiday schedule. With all this talk of adventure please remember our exotic island wedding packages. Invite friends and family to join you here on the island for your big day. We’ll work with you to plan all the details including food and drinks. We have all the little touches you’ll want for this special day. Maybe you even want to include a Stag or Stagette Party the night before the wedding ceremony. Wedding plans can begin while you are at home so when your big day comes everything is ready. You bring the dress, the guests and the rings and we’ll do the rest. Please make sure you tell us about all the special little details you want for your Stingray City wedding. One of our guest couples stood together in the ocean as they took their vows, witnessed by family and friends standing nearby. This special sight was backlit by a stunning Cayman sunset. We want it to be special and memorable for all the right reasons. Let’s talk about the details and start planning your Cayman summer wedding now. You can stay right where you are after the wedding, for the Honeymoon of your dreams! We’d also like to welcome Yoga, Zumba and Fitness Club Owners worldwide to organize a week long Intensive for your club members. Our friendly staff will help you organize the event and add special excursions for your members to enjoy. Zumba with the Stingrays, why not? Jumping jacks and crunches on the beach, for sure! Shavasana as you float in the ocean? Consider planning a club event and bring a group of your students to Stingray City for a fitness intensive in paradise. At Stingray City Cayman Islands we want to introduce you to the gentle giants of the sea----our southern stingrays. In addition, there are many other great excursions we can plan for you and your family. We’ll take you to the Turtle Farm, Coral Garden or Star Fish Point. We’ll plan deep sea fishing, snorkeling and diving. We’ll show you the best places to hike, sail, eat and get a massage. Maybe you’d enjoy a stroll through our National Museum in Georgetown on a rainy afternoon. 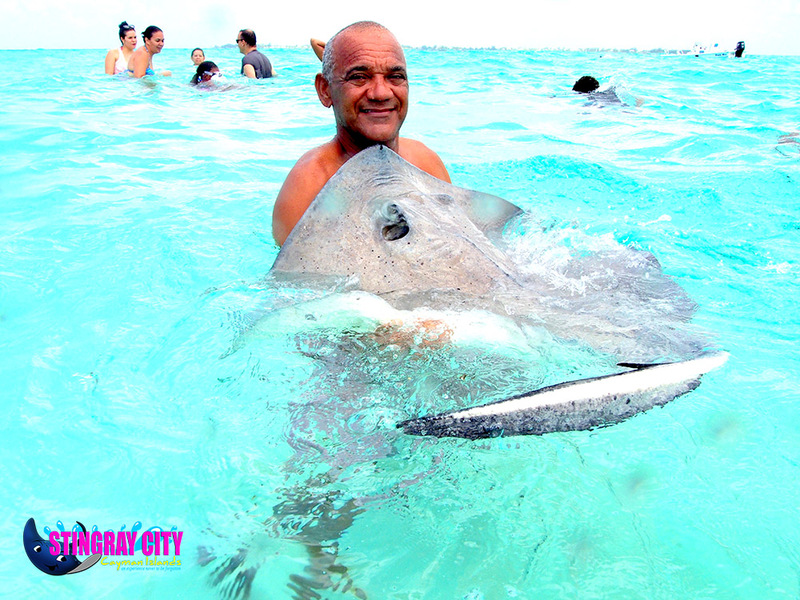 Whatever you decide to do, Stingray City staff want to show you our brand of ‘HAPPY’ this summer. Hot weather, great excursions and the warm hearts of the local people, ensure that you, your family, your friends and your students return home happy, with lots of awesome memories. We want to become your annual summer destination. 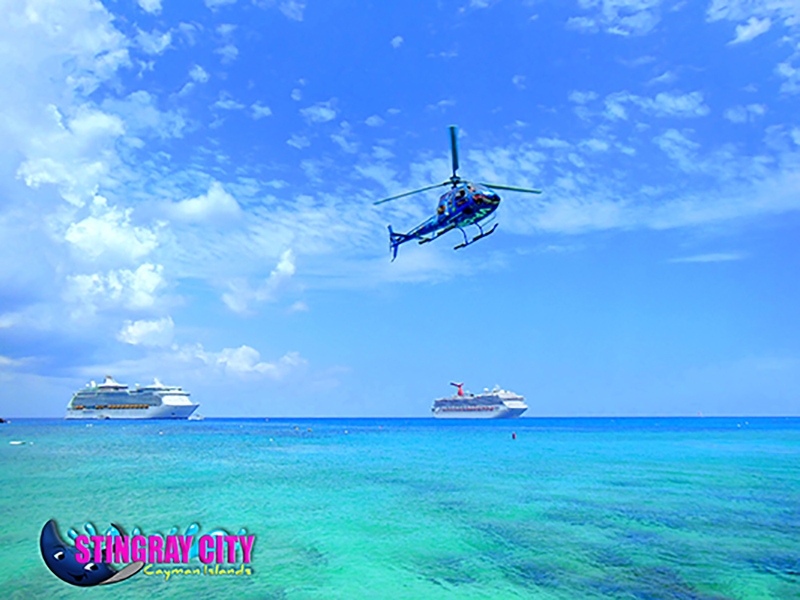 Why not make this year your first annual summer visit to Stingray City, Cayman Islands? Your vessel is ready at the pier and the stingrays will greet you at the sandbar. What are you waiting for? 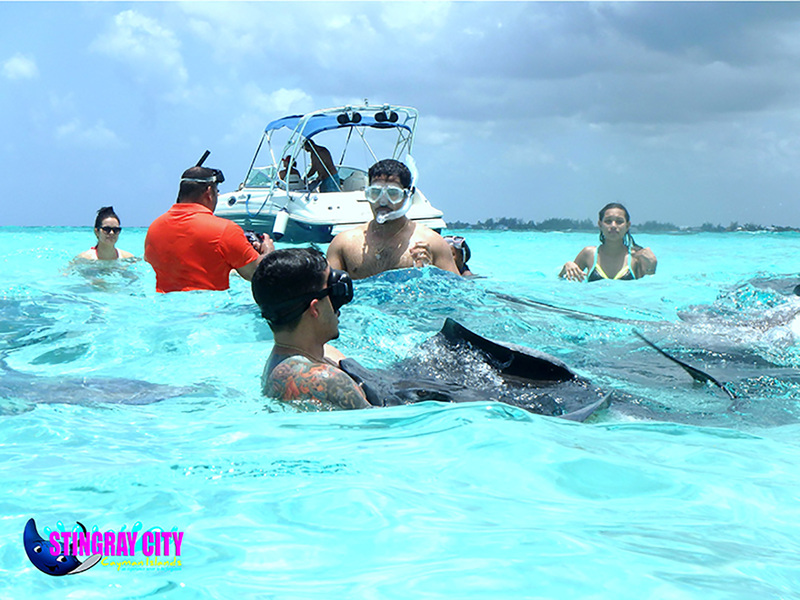 Stingray City, Cayman Islands, your exotic summer getaway, no matter what kind of happy you seek! Visit www.stingraycitycaymanislands.com for more information.